The fossil Eoandromeda is named after its resemblance to a spiraling galaxy, notably the Andromeda nebula. Loosely described to be a dome-shaped benthic (bottom-dwelling) organism, Eoandromeda is characterised by eight "arms" spiralling outwards from a small central boss. 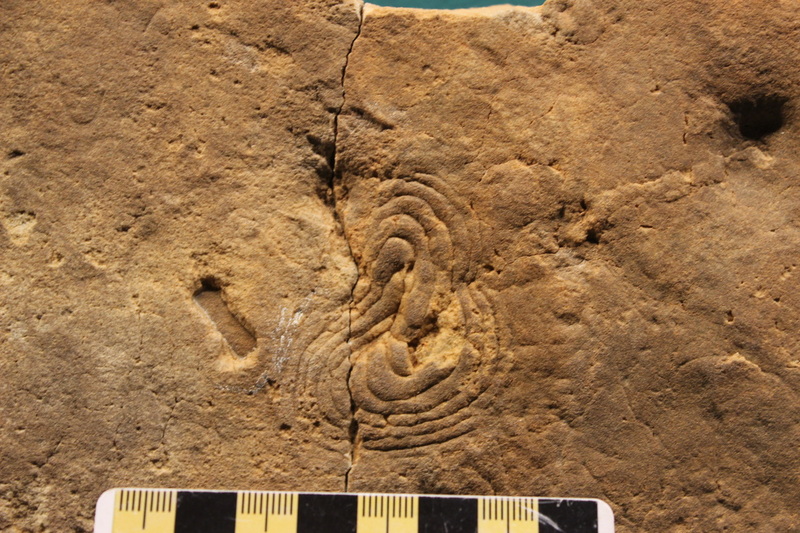 ​It is uncertain as to whether the fossil has eight-fold symmetry (octo-radial) or two-fold symmetry (bilateral). Soft-bodied, disk-shaped, circular in the outline (up to 2.64 cm across), with eight spiral arms (ca. 2 mm wide) radiating from the central part.